International enthusiasts discuss Land Rover topics. If using these saves you Money PLEASE consider a donation to keep the Forum running. 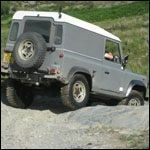 Covering all Defender models throughout the world.